Discussion in 'Pin Trading Gatherings' started by starry_solo, Feb 19, 2018. 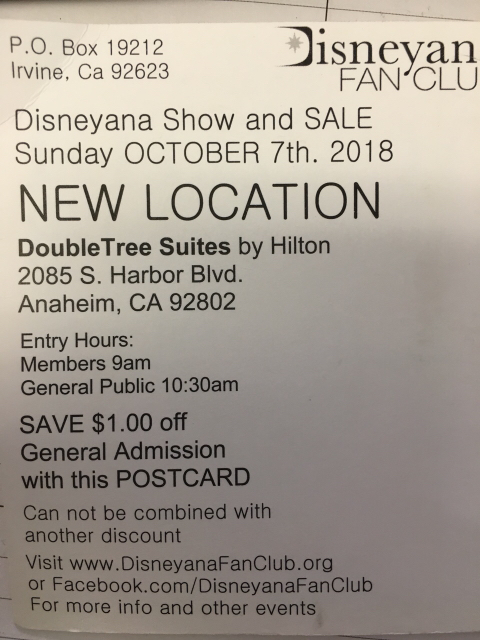 As posted by @pretty Omi , the second Disneyana Show & Sale for the year (in Anaheim) will be in October 2018. 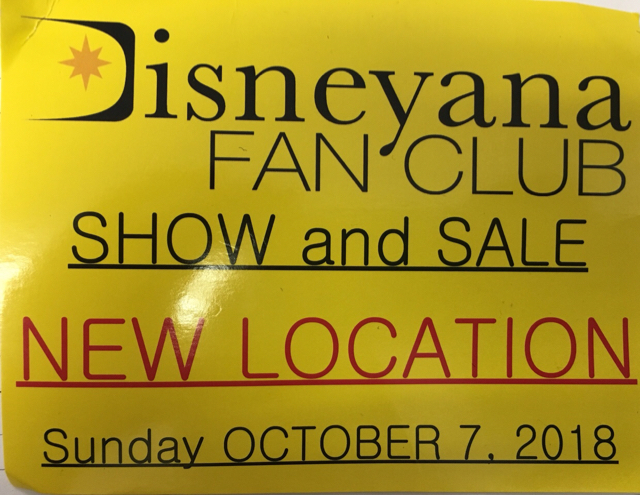 Details: Sunday, October 7, 2018, in a new location- Doubletree Suites by Hilton, 2085 S. Harbor Blvd, Anaheim, CA 92802. Parking: According to the hotel's website, parking is a whopping $50 for non-guests ($21.06 for guests). I expect this may drive people away....but hopefully that's for overnight parking and day guests are still free. watzshakinbacon B for Belle or B for bacon? so i have to buy tickets ahead of time through their website or facebook? The sale is open to the public! But it is part of a whole Disneyana convention that club members pay to come to special panels and dinners, etc. It ends with the Sunday sale which is open to the public, you pay $5/6 at the door. Yeesh! At that parking price you're better off parking at Toy Story and walking up Harbor! I inquired about the parking situation (didn't get a chance to check it out when I went to a nearby pin event).